The “most hated man in America” has defended a 500 percent price hike of the lifesaving device EpiPen. Martin Shkreli said the emergency allergy treatment was a “bargain” after the price increase, describing it as a commodity akin to an iPhone. The former Turing CEO defended Mylan Pharmaceuticals, the company that owns EpiPen, in an interview with CBS News. Shkreli claimed Mylan made a measly 8 cents for every dollar they sold and were entitled to reap the benefits when they had a hit product. If everyone wants a new system for free/cheap drugs, the government should start a generics company a la utilities. Problem solved. He offered a solution, however: The government should start its own drug companies for off-patent medicine, pleasing those who believe medicine should be exempt from the laws of capitalism. Why did the price of the lifesaving EpiPen skyrocket 400%? Because we don't have a single payer health care system to keep greed in check. EpiPen administers a quick dose of epinephrine to counter a severe, life-threatening allergic reaction known as anaphylaxis. Last year, US doctors issued 3.6 million prescriptions for the injector. Mylan’s stock fell 5 percent yesterday. And for all of you idiots thinking Mylan's CEO makes $14,000,000 in cash, her salary is $1,400,000 which is average for that role. Think. 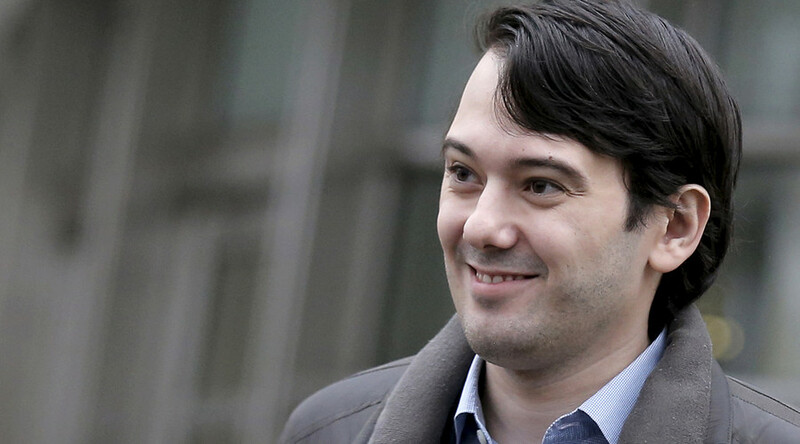 Shkreli, who is no stranger to price hikes ‒ he was responsible for a 5,000 percent hike in Daraprim, a medicine used in HIV and malaria treatment ‒ dismissed any concerns over an upcoming lawsuit against him. Shkreli is accused of security fraud by “engaging in multiple schemes to ensnare investors through a web of lies and deceit,” according to the Department of Justice.